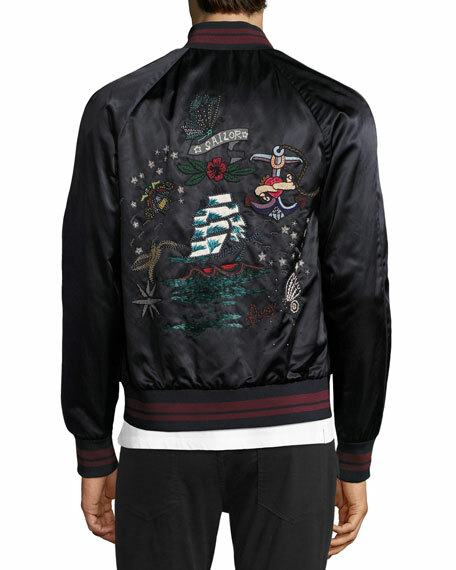 Valentino classic souvenir bomber jacket with embroidered nautical motifs. 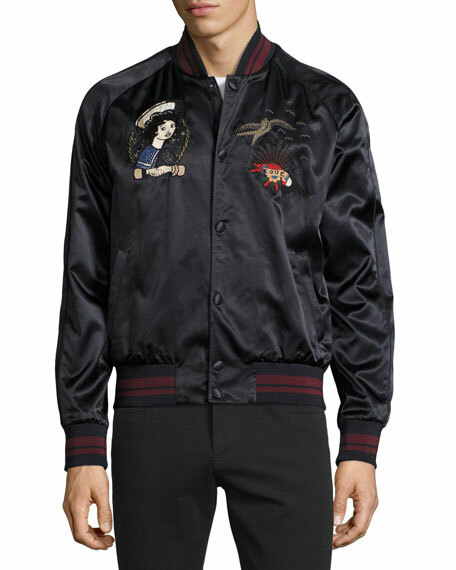 Ribbed collar, cuffs, and hem with varsity stripes. For in-store inquiries, use sku #2206339. 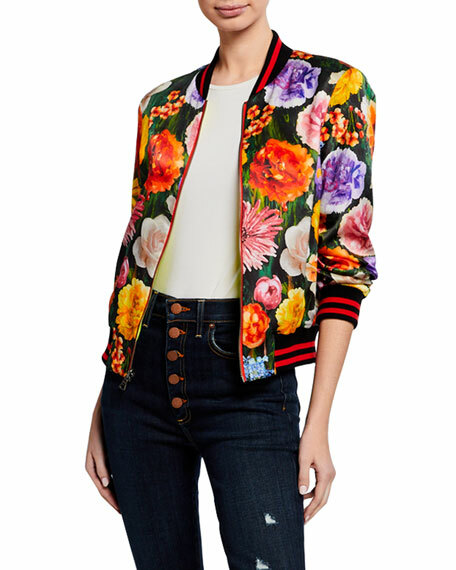 Alice + Olivia "Lonnie" cropped bomber jacket reverses from floral print to fluorescent satin. Approx. 22.5"L from shoulder to hem. Baseball collar; zip front. Long sleeves; ribbed cuffs. Relaxed fit. Shell, polyester. Combo, cotton/spandex. Lining, polyester. Imported. 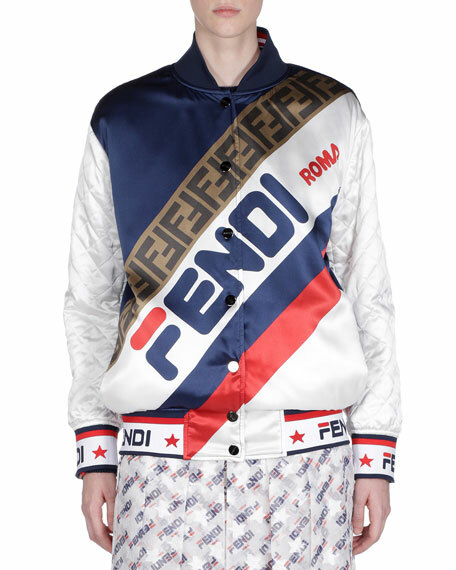 Fendi sweater with Fendi Mania logo print on silk satin, reversible to logo grid. Baseball collar; button front. 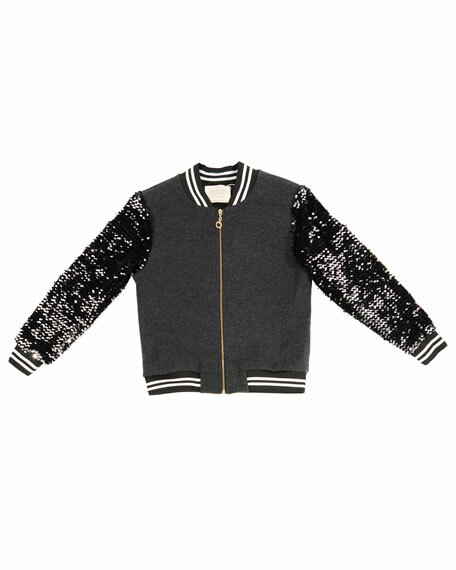 Long, quilted sleeves. Side slip pockets. Logo-embroidered ribbed trim. Oversized fit. Silk. Trim, polyester/nylon/spandex. Lining, nylon. Made in Italy. Exclusively ours. 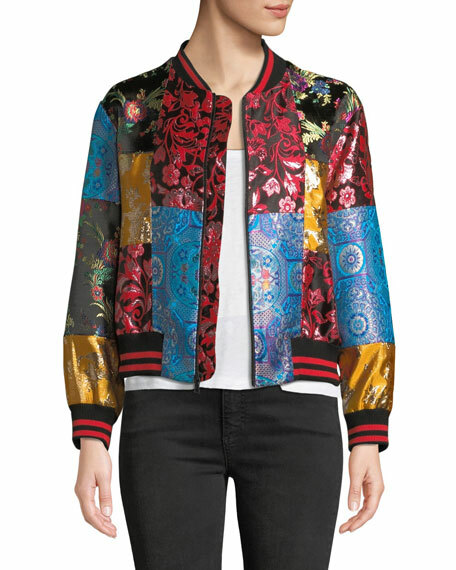 Hannah Banana bomber jacket with sequin sleeves. 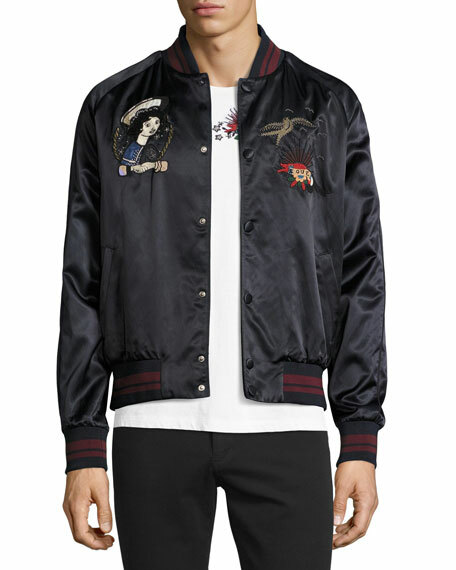 "Happy Right Now" and roses patch at back. Striped, and banded collar, cuffs, and hem. Baseball collar; zip front. Long sleeves. Main: cotton/nylon/spandex. Contrast: polyester/polyethylene. Lining: polyester. Imported.